Until 2014, Utah County had its own area spelling bee, in which the winners from local school spelling bees competed for the chance to travel to Washington, D.C. for the national spelling bee. Unfortunately, sponsors for the classic educational event have been dropping out all over Utah during the past five years. Due to lack of sponsorship, Utah County’s competitors now face off against spellers from Salt Lake, Davis, and Weber counties in a multi-county Regional Spelling Bee. Utah County’s event was sponsored for twelve years by the Daily Herald, ending in 2012. In 2013 and 2014, Utah Valley University joined forces with Alexander’s and Cedar Fort Publishing to sponsor the bee. After that, however, the Utah Valley Spelling Bee could not find sponsors. Meanwhile, the Salt Lake County Spelling Bee has also struggled to find sponsors. In 2015, City Journals of Salt Lake City partnered with Overstock.com to keep it afloat. Bryan Scott, Creative Director of the City Journals, said that representatives from Utah, Davis, and Weber counties all reached out to him in 2015 to see if they could join the Salt Lake Bee. He said that at first he didn’t think it would work, but ultimately decided to welcome spellers from the other counties to the Salt Lake Bee. The following year, 2016, Overstock.com dropped its sponsorship as the company’s CEO ran for Utah governor, and Scott and the City Journals were left to sponsor the regional bee alone. Last year, Scott was able to gather a handful of small sponsorships, but sponsored the bee nearly all out-of-pocket for the second year in a row. This year, Comcast stepped forward with $5,000 and a number of others provided small sponsorships. “I don’t think it will be that much out of pocket this year. Maybe a few thousand,” he stated. He said it’s great to see kids who put their all into a competition even when there are no pep rallies or bands or major recognition to go along with it. 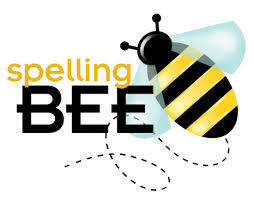 While the competitors are often involved in a variety of pursuits, many of them look forward to the spelling bee as the biggest day of their whole year. Scott enjoys providing a place where they can share their excellence. It costs around $10,000 to fund a basic regional spelling bee. That covers the cost of running the bee and sending the winner and a parent to the national bee. Scott said he would love to be able to pay a dedicated staff member to run the bee and really do it well. “We could send two to D.C. if we could afford it,” he said. He estimates it would take $50,000-$75,000 to pay a spelling organizer and cover the other costs involved in running a well-organized spelling bee. But others see the ability to spell independently as increasingly important, especially in the technology industry where coders must produce a quality product without reliance on spell check. Scott described a discussion he had with a manager of coders who commented that, given the choice between a great coder with poor spelling skills and a mediocre coder with excellent spelling skills, he would choose the latter. “This year’s winner credits her success to a website she built that allows her to study over 1,000 words per hour,” Scott said. At this year’s Regional Bee, held Saturday, March 9, several students who live in Lehi or attend schools in Lehi competed, including Preston Duke and Megan Long from Lehi Junior High School and Tori Cook from American Heritage School. The students earned the chance to compete at the regional bee by placing first or second in their school spelling bees. This year’s winner was Cassie Rust of Oak Canyon Junior High in Lindon. She will travel to Washington, D.C. to compete in the Scripps National Spelling Bee on March 31, 2018. City Journals is looking for corporate sponsors for future competitions to keep the tradition of spelling excellence alive.